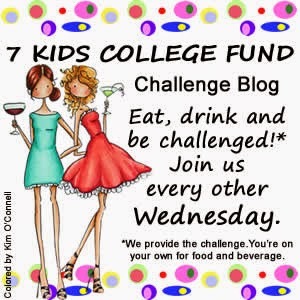 Our challenge has a twist this time-Winter! Which is perfect right now! Even here in the Piedmont of North Carolina we have had unseasonably cold weather! My card was inspired by the beautiful Altitude papers by Bo Bunny. The chalkboard is actually one of the papers in this pad. I just simply framed it. I stenciled some white embossing paste with the Tim Holtz -Bubble stencil to look like like snow on the frame. I then added some Shabby White (Stampendous) embossing powder to add more snow. The snowflake and foam on the hot chocolate were sprinkled with chunky Multi Crystal Glitter Mix . I was very pleased how my wintry card turned out! We always pick Top Three and a random winner will receive a $25 gift certificate to 7KIDS Store!!!!! Thanks for stopping by...and stay warm! I like your pretty chalkboard sentiment all tucked into the frosty blues! Very pretty card Mackie! Beautiful chalkboard sentiment! 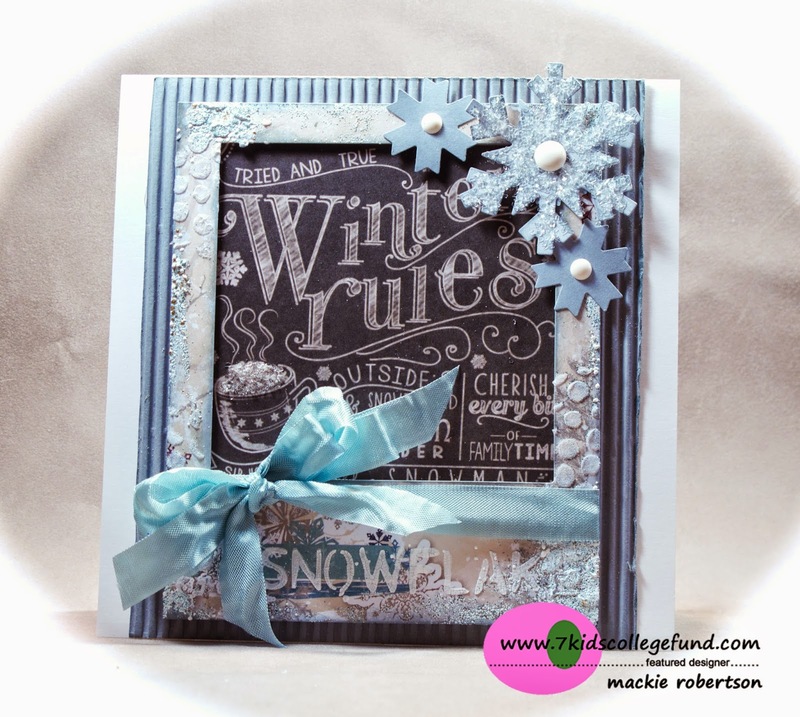 And, love how you created the frame with fab snow detail for your lovely wintery card!